A two-time Edison Award-winning and Grammy-nominated trumpeter and composer, Scott is the nephew of jazz innovator and legendary sax man, Donald Harrison, Jr. His 2017 Centennial Trilogy commemorated the 100th anniversary of the first jazz recordings in America. Defying the culture of silence and shame that pervaded the era of the AIDS crisis, Riggs created vibrantly expressive, innovative works that broke down the divide between documentary and personal essay to explore issues of race, sexuality, identity, and representation. This series brings together all of Riggs’ films alongside those of his contemporaries, key influences, and those whom he in turn inspired and who carry on his legacy. Throughout the history of “New York” there have been alternative visions for peace and sustainability put forward by people suffering from displacement. Join Kazembe Balagun, Ashley Dawson, Dio Ganhdih and Aurash Khawarzad for a discussion on alternative narratives for the future of the city. Moving beyond the leading-man narrative of Black liberation this event aims to restore the biographies of Louise Thompson Patterson ,Gloria Richardson and others. Join scholars Ula Taylor, Joseph Fitzgerald and Keith Gilyard discuss how Black women negotiated racism, patriarchy, class and a Cold War world, and forged their own dreams for freedom. Killer Monstanto tomatoes won’t be on the menu when you dine with the People’s Puppets. Credit: Erik McGregor. 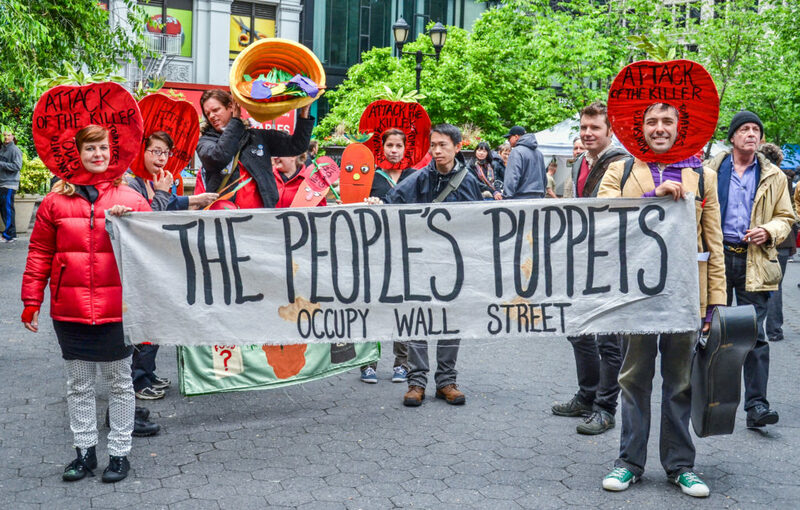 The People’s Puppets of Occupy Wall Street has spent the past 3 months migrating to their new studio. Join them at their new space for a night of performances, movement-building conversations, food and drink. A performing arts event in which any artist — amateur or professional — can take the stage and share a five-minute piece. Share your art or just enjoy the show! The largest U.S. exhibition in ten years devoted to the iconic painter and the first in the United States to display a collection of her clothing and other personal artifacts. Join the Committee to Stop FBI Repression and learn how to compile and submit requests for data, files and documents through the Freedom of Information Act. Bring your laptop and best can-do attitude. Shorts from Senegal, Botswana, Nigeria, Sierra Leone and the United States. Special guests Smoke & Mirrors, Black Days, SaneInsane. 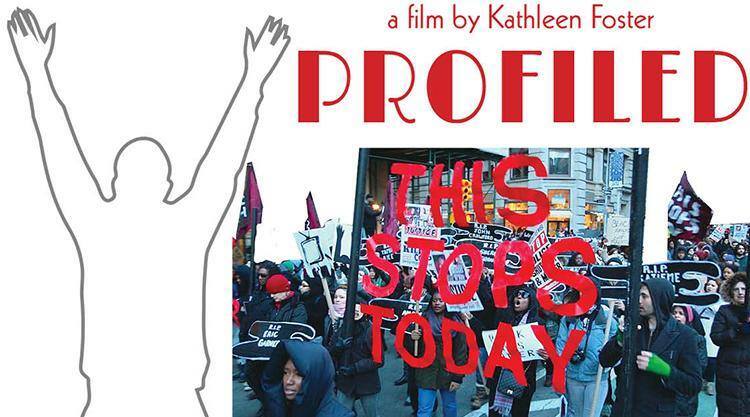 A powerful indictment of racial profiling and police brutality, featuring the mothers of individuals killed by the NYPD. For anyone that has even attempted to fix or maintain their bike, a quick internet search will likely land you at sheldonbrown.com at some point or another. Join the Mechanical Gardens Bike Co-op for the annual Sheldon Brown Memorial Ride and celebrate the spirit of knowledge sharing and public access to bike repair. Visit the gravesites of Madam C.J. Walker, W.C. Handy, Ralph Bunche, Duke Ellington, Miles Davis, Canada Lee, Rudolph Fisher and more. Adapted from the 1853 slave narrative memoir under the same name, this 2013 film received critical claim. Explore the rich history and social impact of businesses owned by and serving black communities in Brooklyn. Join Prof. Laleh Khalili as she examines the historical roots of the Israeli occupation of Palestine and the U.S. War on Terror. Explore items from Schomburg Center’s collection of archival material related to this epochal symbol of Transatlantic slavery. 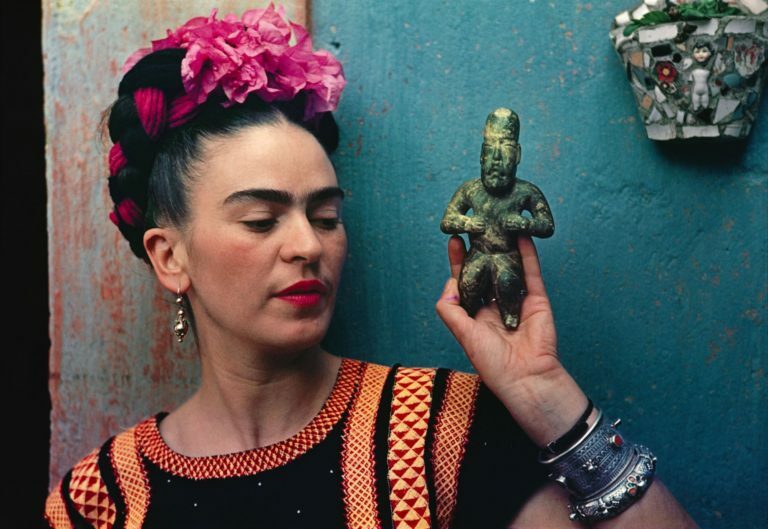 Photo (top): FRID-OM: Nickolas Muray’s Frida with Idol, 1939, as well as numerous paintings by and personal artifacts belonging to the artist herself are on view at the Brooklyn Museum beginning this February. Photo credit: ©Nickolas Muray Photo Archives.